CYPRESS, Calif.--(BUSINESS WIRE)--The Semiconductor Division of Mitsubishi Electric US, Inc. today announced the availability of a new version of its RD07MUS2B 7W RF transistor that exceeds the current RoHS2 requirements by replacing certain exempt materials with compliant alternatives. The Restriction of Hazardous Substances Directive, as recently updated, requires that products sold to and distributed within the EU be certified as free of six materials classified as hazardous. One of RoHS2’s prime objectives is to address concerns regarding electrical and electronic waste. RoHS2 currently permits a small concentration of substances such as lead and cadmium in the manufacture of electronics and electrical equipment, but those exemptions are expected to expire as part of the RoHS2’s long-range objectives. As part of its commitment to the environment, Mitsubishi Electric has moved in advance of the next RoHS revision to remove exempt materials from the RD07MUS2B and substitute them with compliant alternatives. By phasing out exempt materials from the RD07MUS2B, Mitsubishi Electric furthers RoHS2’s long-range objective of eliminating hazardous materials, while providing its customers with a fully compatible replacement product. Although this is the first of Mitsubishi Electric’s products to phase out exempt materials, Mitsubishi Electric’s other products comply with RoHS2’s current requirements and will be updated to replace exempt materials with compliant alternatives in the near future. As the tables demonstrate, the new version of the RD07MUS2B is virtually identical to its predecessor in form, fit, and function. 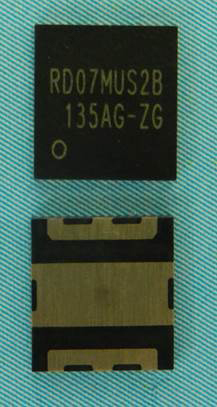 The primary difference is the reduction of package thickness from 0.9mm to 0.75mm. It is fully footprint compatible with the original version. 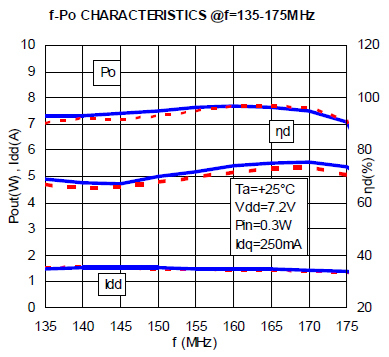 Electrical performance, both DC and RF, is virtually indistinguishable since there is no change in the semiconductor die. 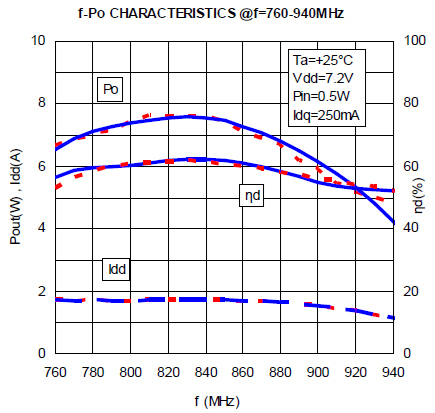 The new version RD07MUS2B has successfully completed reliability qualification testing. Semiconductor Division, Mitsubishi Electric US, Inc. The U.S. Semiconductor Division of Mitsubishi Electric (SCD), headquartered in Cypress, Calif., provides sales and technical support for Mitsubishi Electric’s line of semiconductors and TFT-LCD modules. The product line includes high-frequency devices, silicon RF devices, laser diodes and optical fiber communication devices. Products are used in applications ranging from satellites to mobile telephone terminals. Visit http://www.mitsubishielectric-usa.com/semiconductors for additional information. In addition to semiconductor devices, Mitsubishi Electric US group companies’ principal businesses include factory automation products, automotive electrical components, elevators and escalators, heating and cooling products, solar modules, electric utility products, and large-scale video displays for stadiums and arenas. There are 50 locations throughout North America with approximately 3,600 employees. 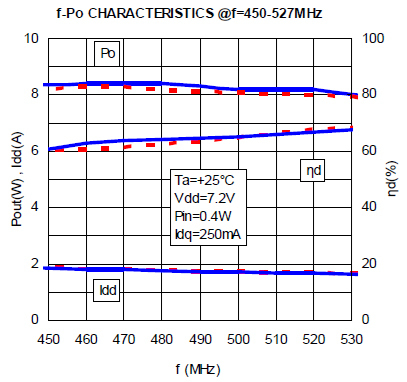 Mitsubishi Electric US announced today the availability of a new version of its RD07MUS2B 7W RF transistor that exceeds the current RoHS2 requirements.